We must rebuild our economy, lower fuel costs, free ourselves from our addiction to oil, and save ourselves from the climate crisis. To do this, we need to demand that we Repower America with 100% clean electricity within 10 years. Meeting this ambitious goal would create millions of new jobs, lead to lower energy costs for families and help America lead the fight against global warming. To learn more about this go to www.wecansolveit.org. Sign up and let your government know that can and must find solutions. Named after the warm, organic work of ceramicist Eva Zeisel, Eva defies the popular image of a sans, thanks to the contrast in its strokes and the freedom with which they have been drawn. This friendly personality provides added interest at larger sizes, yet Eva also has a notable clarity, and it works well for setting continuous text. 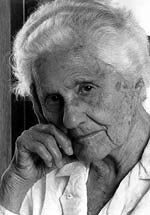 Indeed, it was Zeisel’s “playful search for beauty” that is the crucial connection between her and her audience. Designer Merel Matzinger and Smeijers hope their typeface achieves a similar feeling. I was forwarded this wonderful video the other day. 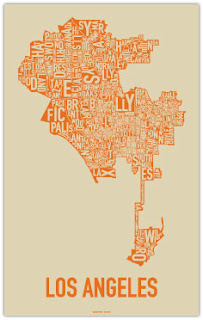 (Thanks Eric) It was made with fonts only to tell the story of pollution and its effects. Watch and enjoy. Stefan Sagmeister has a long history of album cover designs. 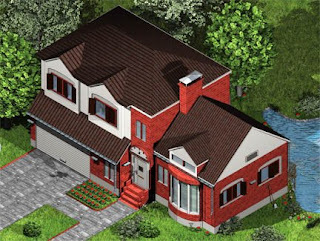 One artist that he has worked hand in hand with over the years is David Byrne. David is best known for his early works with the "Talking Heads". 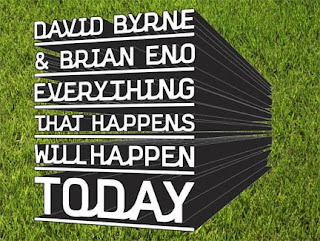 The early producer for the "Talking Heads" was Brian Eno and now they have worked together to create a new album "Everything That Happens Will Happen Today". (Sounds like a Stefan saying no?) The album is crisp and refreshing. The album art was designed by Sagmeister and there is also a special collectable edition available that comes with bonus songs and a video by Hillman Curtis. To preview the album, buy the album or to get a free download of a song, check out the website at www.everythingthathappens.com. Check out this wonderful link full of tons of book cover designs. Each cover is presented with a good quality image and who designed it. A great resource and inspiration. See more at this link. I was informed today that a design I produced made the finalist stage in the "Dieline Challenge". My design was one of 5 chosen based on focus group feedback. I will next be asked to make revisions on the package. The package that is picked in the end will win the designer a trip to Norway. 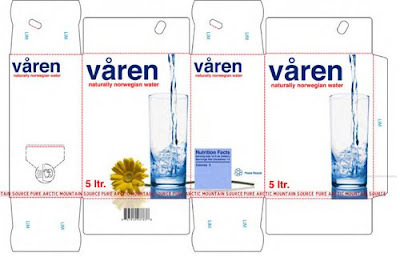 Keep your fingers crossed for my design, I could use a nice vacation to Norway. To read more about this contest and see great examples of the newest packaging out there, go to The Dieline.com. The best events leverage collateral that connects with the target well before the event or exhibit even gets set up. Hear successful tips and techniques for creating collateral that mirrors the look and feel of your live experiences. To learn more about the Event Design Summit 08 go to its website at www.eventdesignsummit.com. I hope to see you in October at this great conference. Whenever someone brings up Latin, I am sure many of us run for the door screaming. When I was in high school you had a choice of Latin, French or Spanish. I said "bonjour". I wanted nothing to do with Latin. After all it's a dead language, right? Well I found two website that deal with one part of Latin that we use on a regular basis, the ampersand. It turns out it originated from the Latin for et. This became a scribal abbreviation for and. Can you see it, the e & t put together? 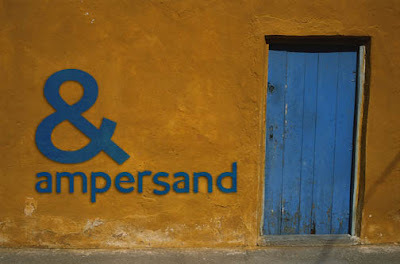 To see more examples of ampersand, check out these two websites, The Ampersand and Ampersands. Check out this website, makemylogobiggercream.com. I know we have all ran into this battle with clients. 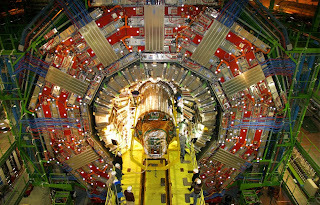 Not sure what a Large Hadron Collider is? Well it collides particles. Beyond that, I will leave it up to people much smarter. To view some amazing photos of this huge scientific project on the France / Switzerland border check out this link. The images are crazy cool and show the magnificent size of this 17 mile collider. Check out these beautiful posters from Ork Posters. Several cities are now available including LA, NYC (Manhattan and Brooklyn), SF, Boston and Chicago. They are great typographical treatments and solutions. The posters are available online at www.orkposters.com.